Qatar Central Securities Depository (QCSD) on Thursday announced that it has amended non-Qatari ownership limit in Barwa Real Estate to 49%. Foreign ownership limit in the Qatar firm will reach 190.67 million shares, according to a statement to the Qatar Stock Exchange (QSE). 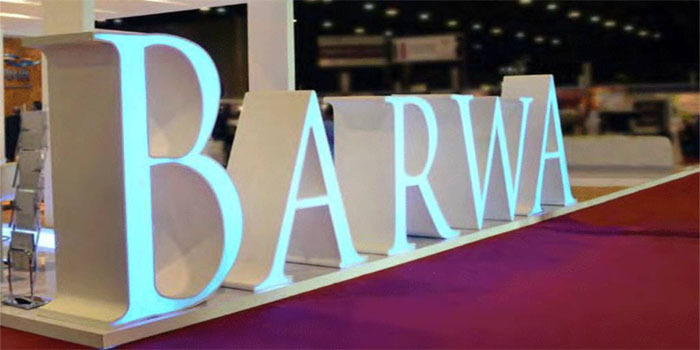 Barwas’s capital stands at QAR 3.89 billion, divided into 389.12 million shares. Early in June, the company’s board and its shareholders approved increasing non-Qatari ownership limit to 49% instead of 25% during an extraordinary general assembly (EGA). The assembly also agreed on adjusting the company’s articles of association in accordance with the amendments of foreign ownership percentage. The step aims at achieving the Qatari bourse’s vision in an effort to promote the Qatari financial market and develop its mechanism to be a regional financial hub. In March, Rashid Al Mansoori, CEO of the QSE, urged all listed firms to increase their non-Qatari share ownership to 49% in a bid to enhance foreign investment in the Qatari market. By the end of Thursday’s session, Barwa’s stock retreated 2.21% at QAR 35.01.